Who here remembers Candid Camera? (Kids, ask your parents.) Whether you've heard of the actual TV show or not, the legacy of Candid Camera lives on in present day reality TV and movies. The concept is simple: Play a practical joke on someone and catch it on film. The idea of Candid Camera was especially popular in Japan where the Japanese version of the show どっきりカメラ ("Dokkiri Camera" or "Surprise Camera") led to the word, "dokkiri" (どっきり), becoming shorthand for "practical joke." But as with all practical jokes, sometimes thing get out of hand or downright mean. And if it happens and the internet hate machine gets involved? 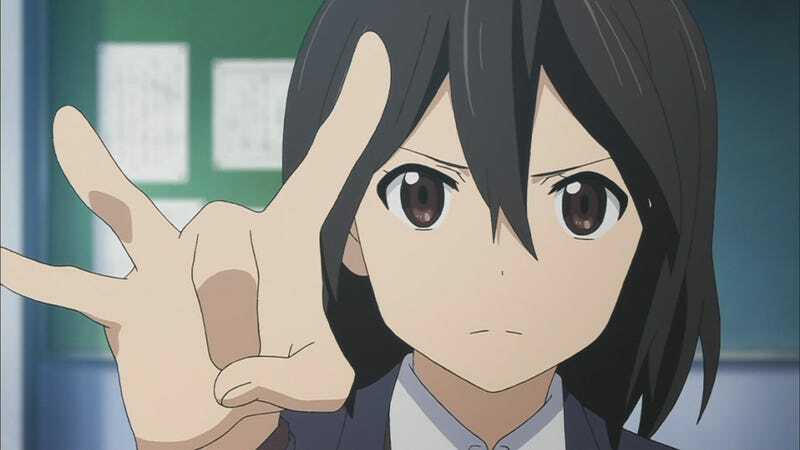 Then it becomes a complete clusterf**k.
Roughly two months ago, the voice actor Mitsuhiro Ichiki was called to an audition to play an original character for the anime, Kokoro Connect. Shortly after the audition, Ichiki received word that he had been chosen and was asked to come to an event as a secret guest. Sadly, the audition, and even the original character that Ichiki was supposedly supposed to play were all a lie. Ichiki was forced to watch video of himself auditioning for a role that didn't exist before a live audience. He was then told he had been chosen as the "Publicity Leader" and his job would be to garner public interest in the anime (essentially a PR monkey). The whole joke seemed mean-spirited and when details of the whole event were uncovered, the internet hate machine quickly went to work. Profiles of all those involved and their individual responses to the practical joke were documented, leading to massive flaming on twitter, message boards, and on the video stream of the actual anime. Sadly, at this point, no matter the quality of the anime itself, the damage may already be irreversible. Voice acting, like all forms of art, is a very hard occupation. It often takes years or even decades before an actor is well established enough to be able to make a living of voice acting alone. So tricking a voice actor, who is likely already struggling to get work, and making a joke of it is a pretty low thing to do. Let that be a lesson to you wherever you're from: If you're going to play a practical joke, make sure it's something everyone can laugh at afterwards (And pray the internet never gets involved).